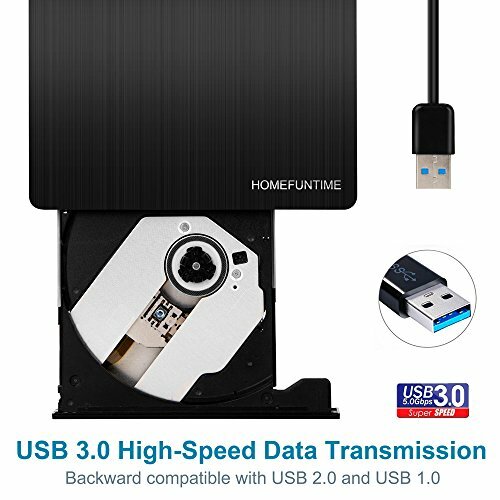 HOMEFUNTIME is a creative enterprise committed to bring premium external optical drive that make life more interesting, hassle-free & fun-filled. Our intensive research, excellent quality control & ability to sell our products at a great value for money make us a customer favorite! ORDER NOW & Get this Absolutely Must Essential for your New-age Device! 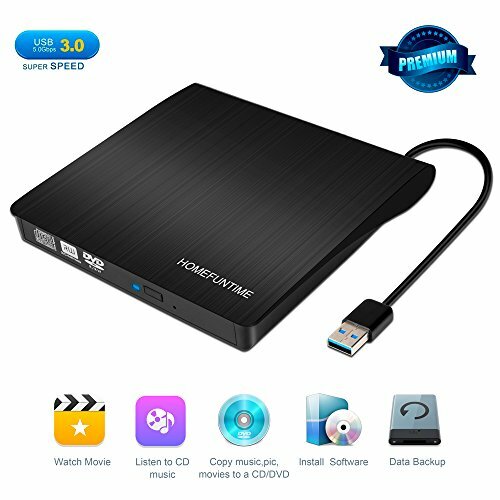 ✧ BEST USB 3.0 EXTERNAL CD DRIVE - Access invaluable old media (be it songs, movies, pictures, backup or software) even if your laptop or PC doesn't come with built-in CD/DVD drive, and effortlessly write CDs/DVDs to get your content ready to be played on standalone DVD player! 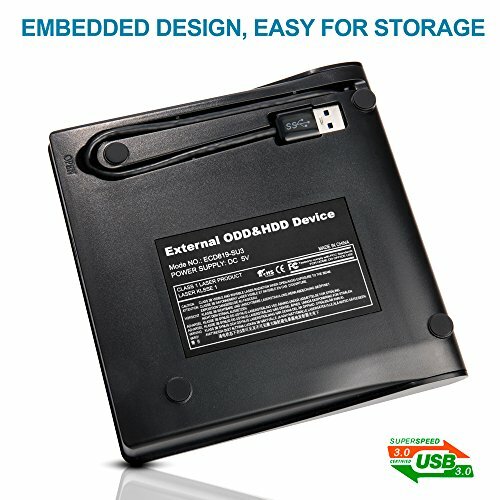 ✧ UNPARALLELED PERFORMANCE - Enjoy hassle-free PLUG & PLAY without the need to search for any drivers, experience INCREDIBLY FASTER data transmission with USB 3.0 external dvd drive, superior error-correction, improved ability to rip & noise reduction, and use this dvd drive without any additional power supply! 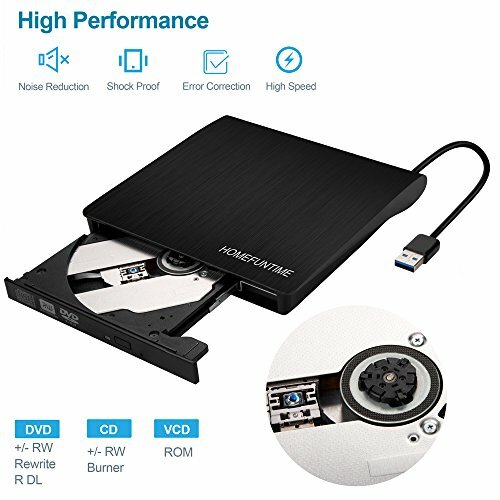 ✧ MULTIFUNCTIONAL WITH WIDER COMPATIBILITY - Supports a wide range of formats that include CD, CD-R, CD-RW, DVD-RW, DVD±R, DVD±R DL, DVD±RW and DVD-RAM - a versatile reader, writer, dvd burner & player that's ideal as usb external cd dvd drive for Mac, and most popular OS including windows 98, XP, Vista, 7/8/10, Mac OSX, Linux, etc. ✧ EASY CONTROLS & COOL DESIGN - Slim design feels solid in hand & proves easy to carry along, boasts a shockproof & lightweight build, and pops open with a simple button. Moreover, our external cd/dvd drive for laptop comes with bottom groove that helps neatly tuck in the cable for convenient storage. 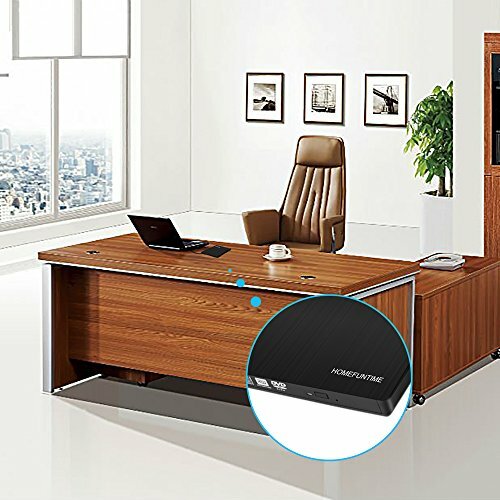 ✧ GUARANTEE - With our 100% RISK-FREE SATISFACTION GUARANTEE on this usb dvd drive external you have got nothing to lose. 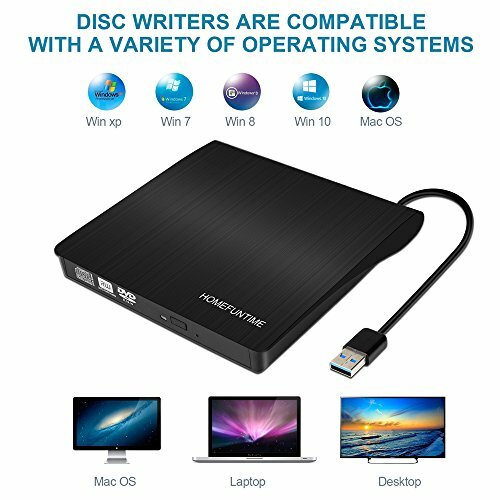 Moreover, you would be super impressed with the fact that this apple usb superdrive can work just with USB port power in most cases, except for Surface Pro series for which you need to buy USB 3.0 Y-cable to supply additional power. Also, if using USB Hubs, go with powered ones. If you have any questions about this product by HOMEFUNTIME, contact us by completing and submitting the form below. If you are looking for a specif part number, please include it with your message.